Grade 11 student Lauren Burns is giving preschoolers a head-start on literacy. 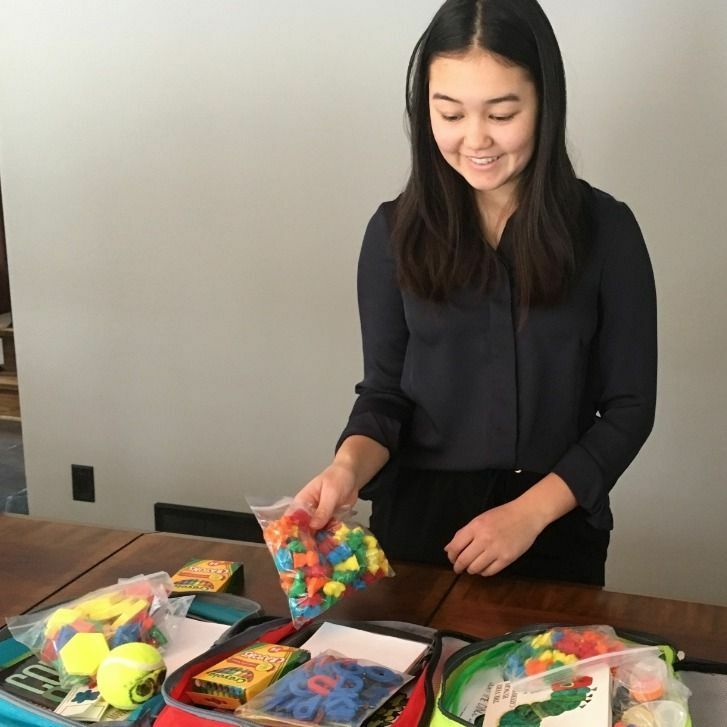 Started as a passion project in her Grade 10 year, Lauren has put together “play packs” that help the very youngest students work on reading, as well as activities that teach numeracy, fine motor skills, communication, and social interaction. She already has a school interested in the program. Beginning in March 2019, and running until the end of May, nursery students at Mulvey School, located in West Broadway a few blocks from Balmoral Hall, will receive a new play pack at the beginning of each month to take home and keep. Each package contains different activities that the children can play with. The kit also includes suggestions for parents on how to get involved and how to get the most out of the activities. In creating her play packs, Lauren did a lot of research to make sure that the developmental milestones the activities are meant to assist with will align with the curriculum that the children will encounter in Kindergarten and Grade 1. This research included extensive consultation with Balmoral Hall’s own Director of BH Beginnings Child Care, Simone Penner, as well as many of her Senior School teachers. The books in the packages align with the WSD1 literacy standards, and many of them were chosen from The Dolly Parton Imagination Library, which sends books home with families each month, sponsored by other families. Lauren also chose books that appear in the popular Scholastic Books mail-order program. But what about the school that’s receiving the packs? The principal and teachers at Mulvey looked over what Lauren was proposing and gave their feedback and suggestions, too. The faculty at Mulvey will also be providing valuable insight into the program as it begins to roll out in March. At the end of the three-month pilot program, the final bag will be sent out with a survey included to help Lauren to continue developing and improving the play packs. Lauren’s Playing with Purpose project has a GoFundMe page, where members of the public can donate to help defray the costs of building the 260+ bags she’s committed to for the pilot project. We congratulate Lauren for her commitment to the community around her, her drive to improve the education of our city’s youngest students, and her passion for making a real difference in the world. Listen to Lauren's interview with the host of The News On CJOB, a local radio show.